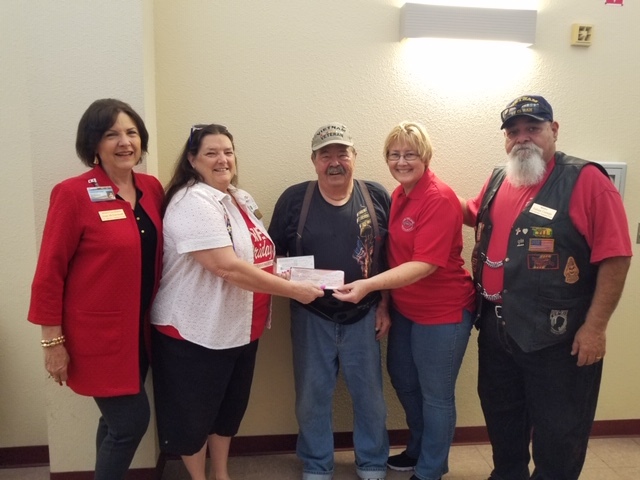 VVA975 and AVVA975 donate to the Lake Havasu City VRT team to provide assistance to struggling military veterans. From left to right: Joan McCermott, Cindy Ritter, Dale Quinn, SandyCornejo and Fabian Cornejo. 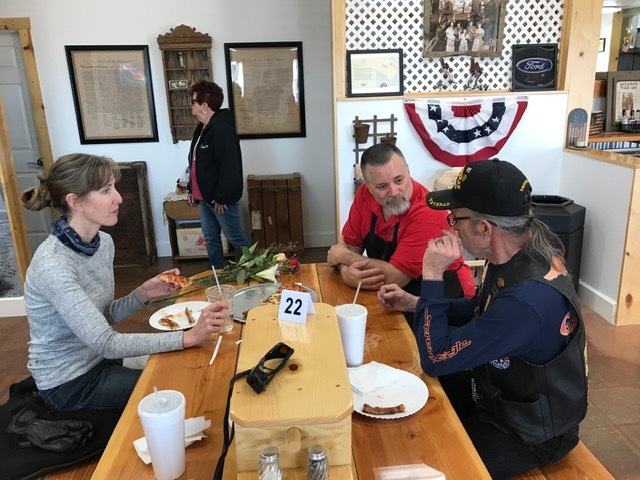 American Pizza provides our Vietnam Veterans a free pizza! A fantastic “Welcome Home”!. Invited and Received confirmations of the Guest Speakers Dr. Laura Tohe and Zonnie Gorman, both daughters of the original WWII Navajo Code Talkers, for the June 8th 9am Brick-laying ceremonies. 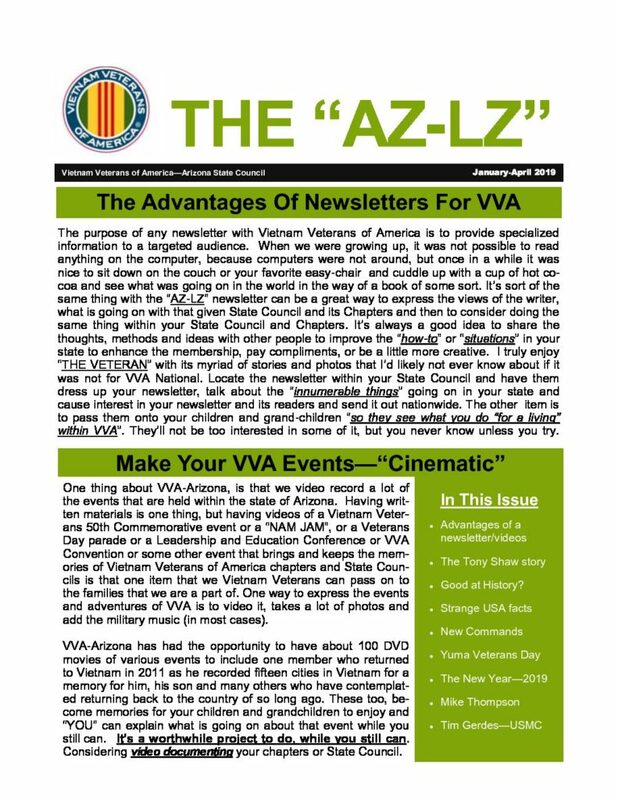 Distributed hundreds of the new HMW brochures, thanks mostly to the Marine Corps League Detachment 757 of Lake Havasu City. Received positive recognition on radio stations and newspapers, locally and in Wash DC. Had an excellent Front Page article in The News Herald, Sunday edition, and a soon released mention in the Havasu Magazine. Completed the list of the Original Code Talker names and confirmed ‘work in process’ by the brick engravers. 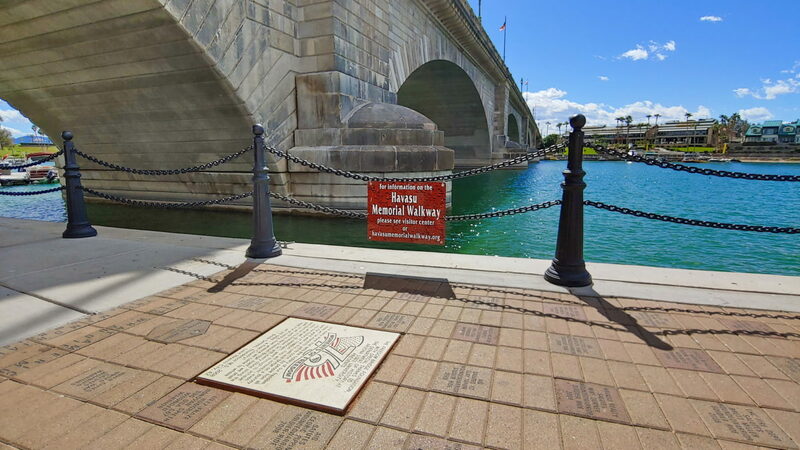 Received the narrative for the History Brick for the Navajo Code Talkers, and confirmed the Walkway design. Updated the MOU with the city, and confirmed property permissions. 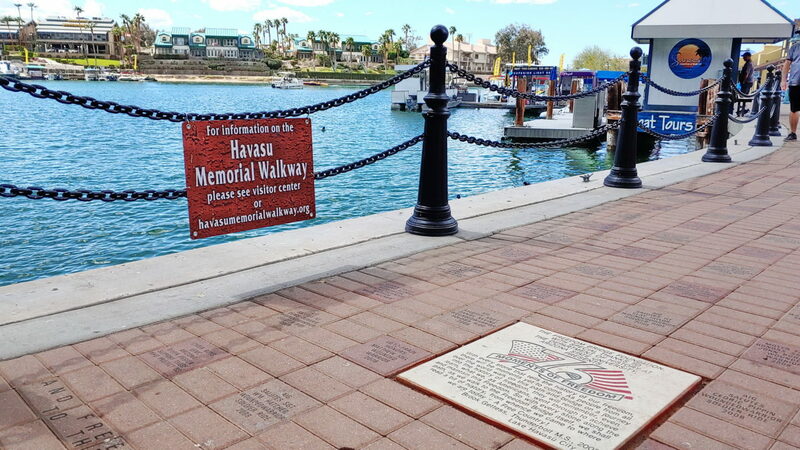 Regularly updated the Havasu Memorial Walkway Facebook page and have received THOUSANDS of viewers and “Likes”! Continued with the plans for the June 8th Brick-laying ceremonies with plenty of local publicity and invited dignitaries. 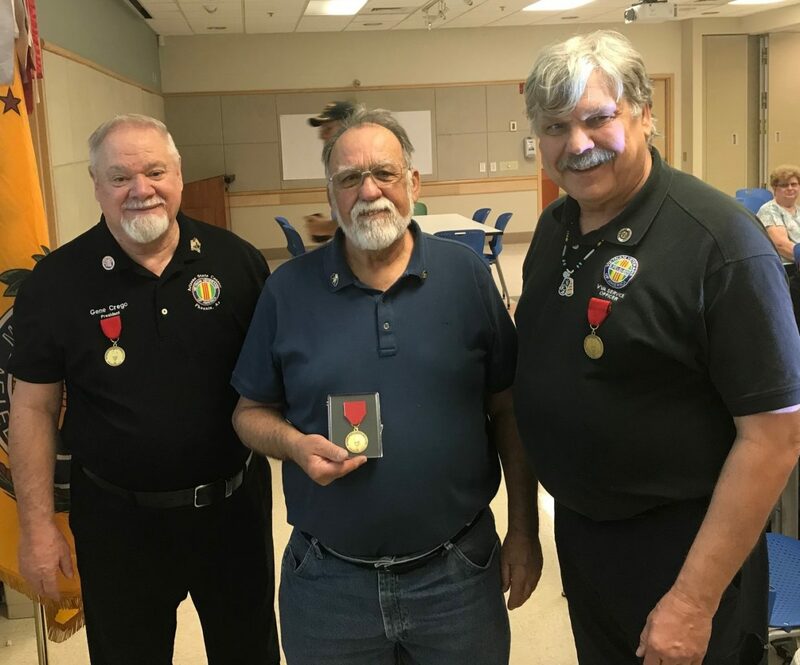 1/20/19 Bob Barnett received the VVA Achievement Medal at the State Council Meeting. 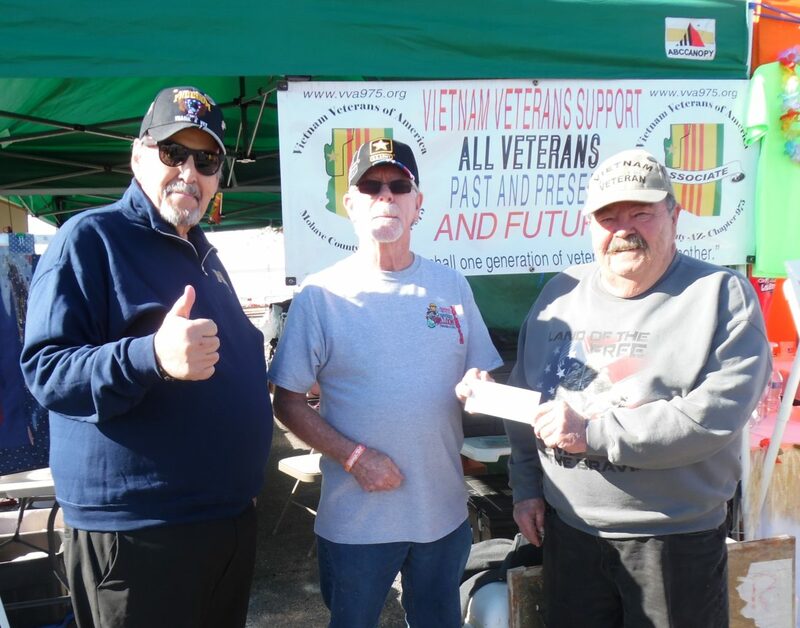 The Vietnam Veterans of America Mohave County Chapter #975 donates $100 toward fuel and lunch support in May for the Run for The Wall – mission that will fuel at 95/I40 interchange and lunch at Yucca Fire Station. Pat Farrell (President VVA), Roy Meek (AZ State RFTW Coordinator) accepting check from Dale Quinn (Treasurer).